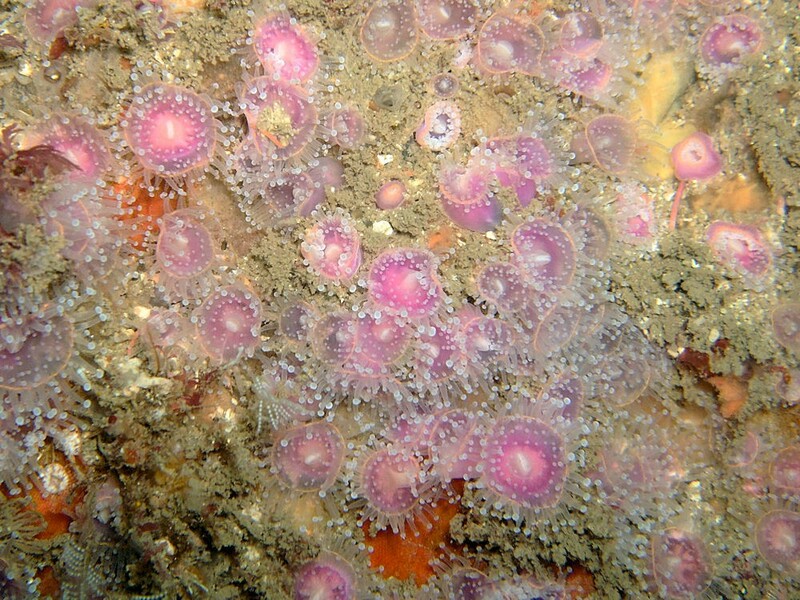 The Strawberry anemone is a small anemone . 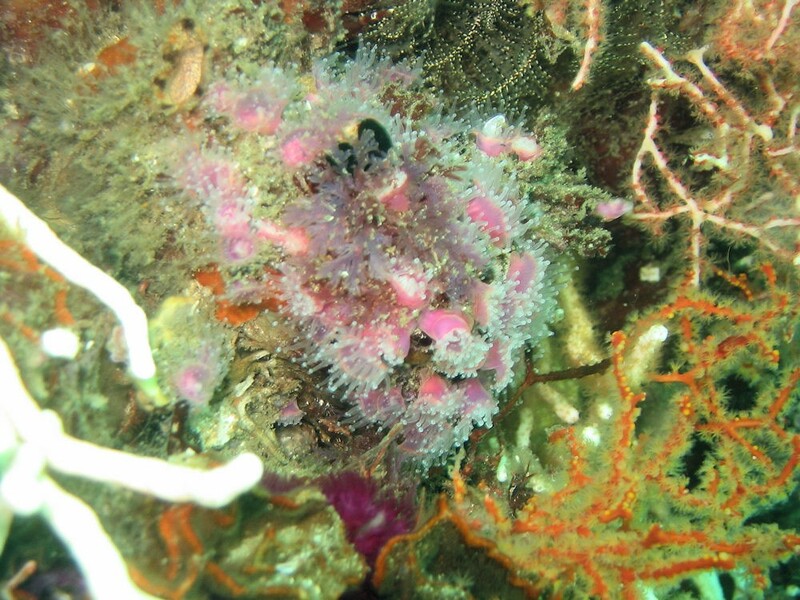 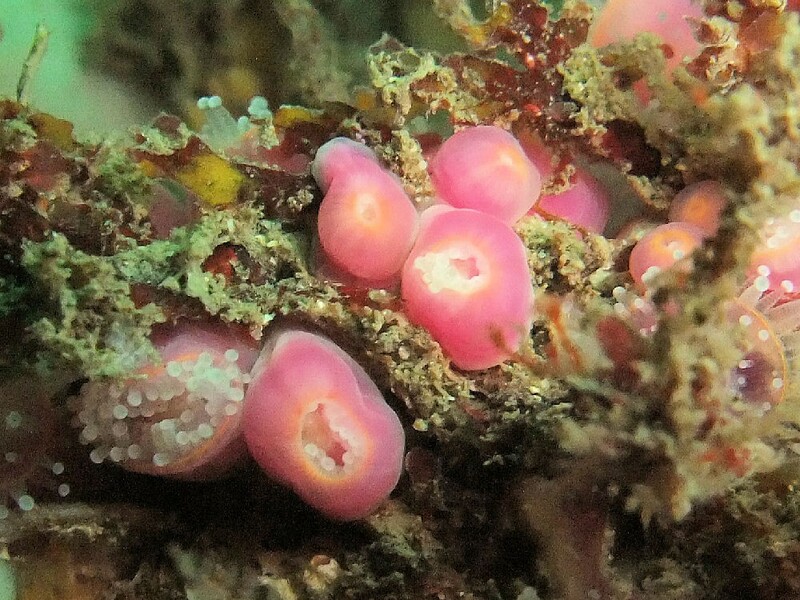 They are easily identifiable by their exquisite semi-transparent pink colour and white knobs on the tips of their tentacles.Green and reddish versions also found. 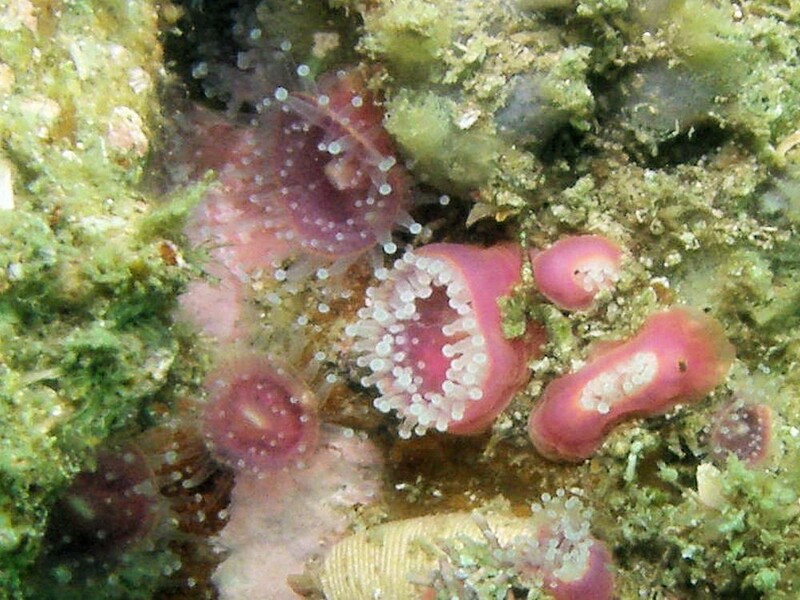 Unlike most anemones they are colonial animals and are more closely related to corals than true anemones. 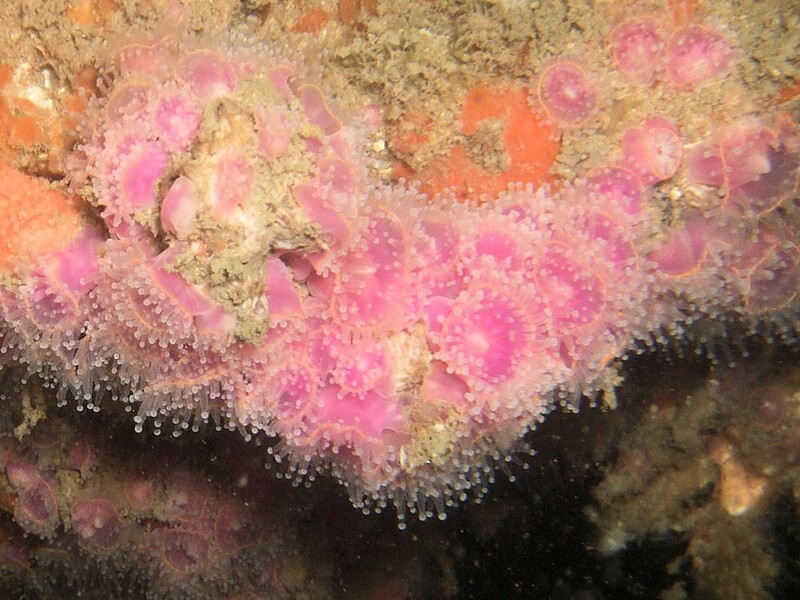 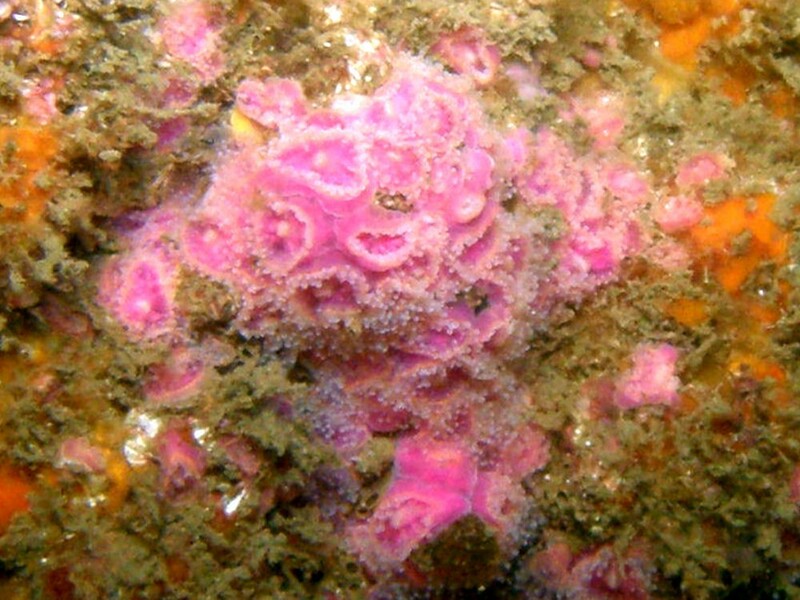 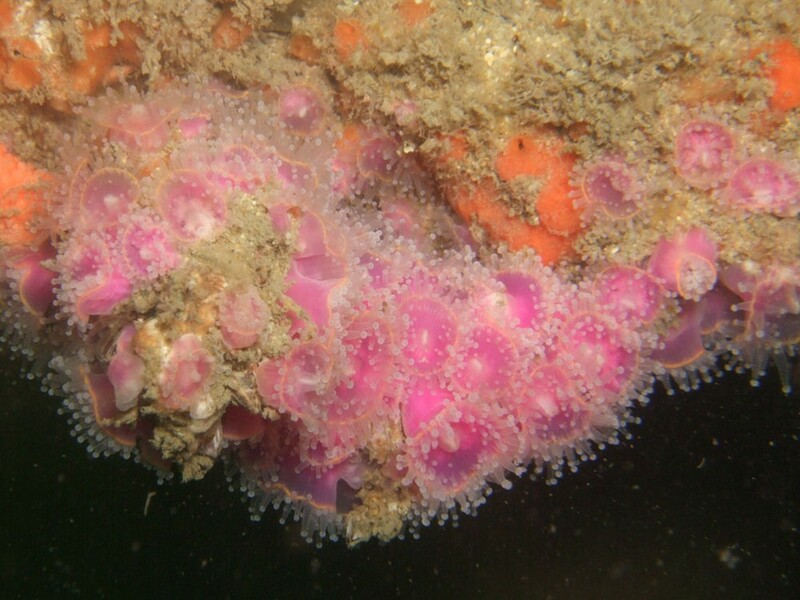 features: Semi-transparent pink colour and white knobs on the tips of their tentacles. 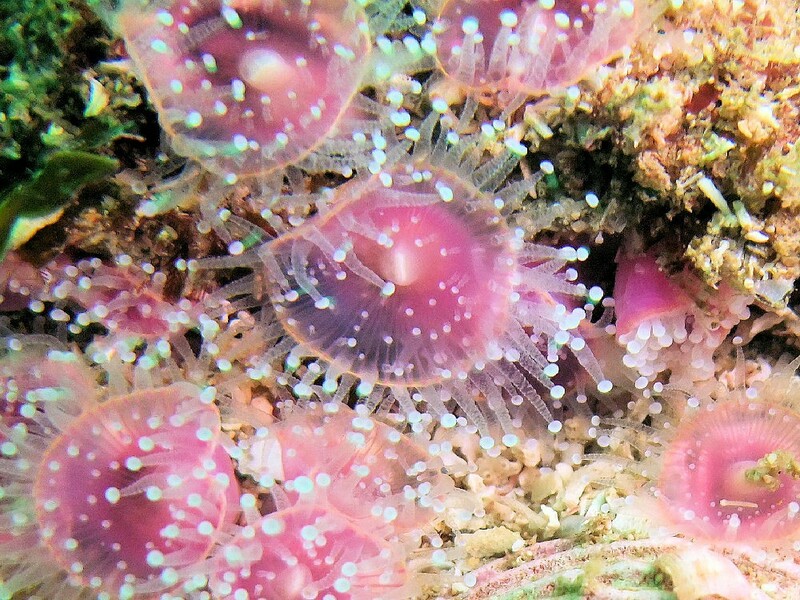 Diet: Probably feeds on small platonic animals.